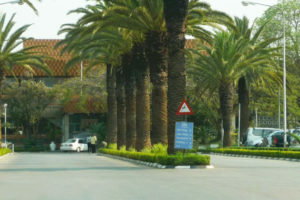 LIKE many cities around the world, Lusaka has been growing rapidly. The growth of the city is in many spheres, including population, number of vehicles on our roads and housing. This growth has caused an exponential increase in the demand for various services. It is only imperative, therefore, that as the city grows, there must be a corresponding increase in these services in order to serve the population better. 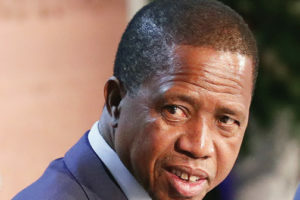 Over the years, we have seen this kind of increase in the health sector, where a number of facilities that a few years ago only existed as clinics have now been upgraded into first-level hospitals, catering to growing communities that otherwise were reliant on a central hospital located across the city. This has obviously reduced the burden not only on the people seeking this service, but on the central hospital as well. We have seen a similar increase in the number of police posts, although, sadly, the success in this service sector cannot be equated to that in the health sector. A number of police posts are either poorly manned or not manned at all. However, there is one important service sector that has, over the years, been neglected all together, and has seen little growth, and this is the fire service department. Because of the nature of this service, we are usually tempted to overlook or just ignore its importance until we have the need to dial 998 and hear sirens blaring towards our home or office block. We can only overlook or indeed ignore this sector at our own peril. 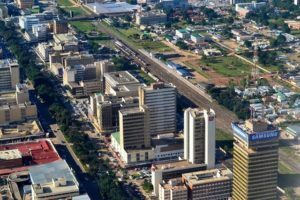 According to Lusaka Mayor Miles Sampa, the capital city recorded 981 fire cases in 2017 compared to 1,176 in 2018. We agree with Mr Sampa that the increase of 195 in fire incidences is an indication that more fire stations are needed in the city. We are, therefore, glad that the department is now receiving more attention than ever before. We need to always value this department by ensuring that we make the right investment to have it ready to respond to emergencies. The announcement by Mr Sampa that Government will soon release funds to complete the discentralisation of the fire service should give hope that this service will be accessible to more of our population. Government is currently building sub-fire stations in Bonaventure, Kabwata and Chelston to reduce pressure on the Central Fire Station. But even more important, the decentralisation of this service will also reduce on the time it takes to reach distressed residents needing help. Many times, the Fire Brigade has come under fire for arriving late on fire scenes. This can be attributed to various factors, but one major one is the fact that they have to drive their fire engines across the city, negotiating through heavy traffic, to go and put out a fire. But we would also like to echo Mr Sampa’s concern at the manner that the fire engines have been misused, to the extent that some have used them to deliver water to toilets. The people entrusted with this expensive equipment across the country need not be reminded what fire engines are for. Fire fighters should learn to keep their fire engines polished and ready for service at the station and wait for the 998 call.